Watch the Endymion parade at Tubby & Coo's! Tickets can be purchased below. ALL SALES FINAL. NO REFUNDS FOR THIS EVENT. Please make sure to fill out the RSVP form below after you purchase tickets. You must print the confirmation of your ticket purchase and bring with you for admittance. Upon arrival, check in with a Tubby & Coo's representative. Join us for the only Mid-City Parade! 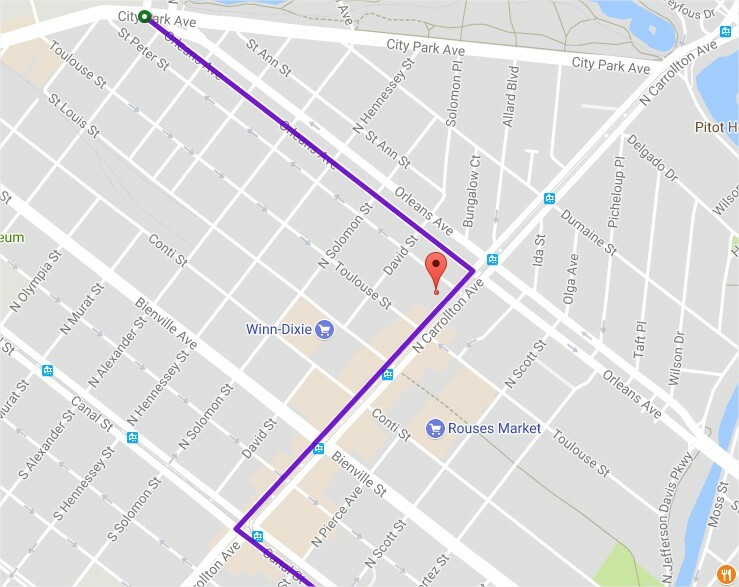 Endymion is the only parade with a route through Mid-City, so make the most of it with us! Our nerdy store is perfect for people watching from the balcony or escaping to the backyard or board game room when you get tired of the crowds. Come dressed up (or not) and join us for costume watching, food, board games, and general merriment. Come and go as you please, always knowing that you have an escape in a peaceful environment away from the crowds! Great for napping children and social anxiety. ALL SALES FINAL. THERE WILL BE NO REFUNDS FOR THIS EVENT. Access to our upstairs balcony for people watching and being above the crowd. Limited to 10 people, so the balcony will never be crowded. Entire event limited to 50 people.